A studio at 200 East 27th St. comes with access to a furnished roof deck. It may seem like Seattle outside, but the sun will come out again soon, and when it does, many New Yorkers will be looking to spend their free time under the blue sky. 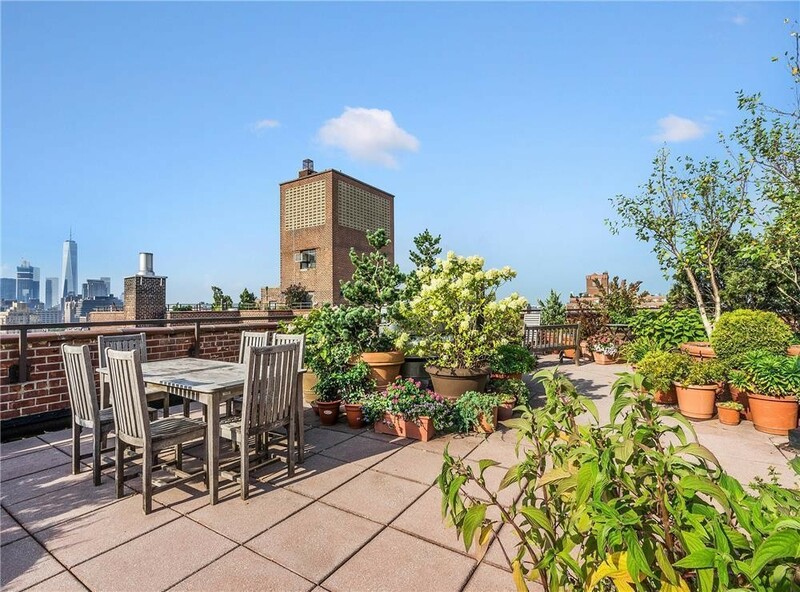 In this vein, we were surprised to learn last week that one in seven residences sold in the city last year included some sort of private outdoor space, according to appraisal firm Miller Samuel. Private outdoor space can add as much as 25 percent to the cost of an apartment, according to the firm's formula. 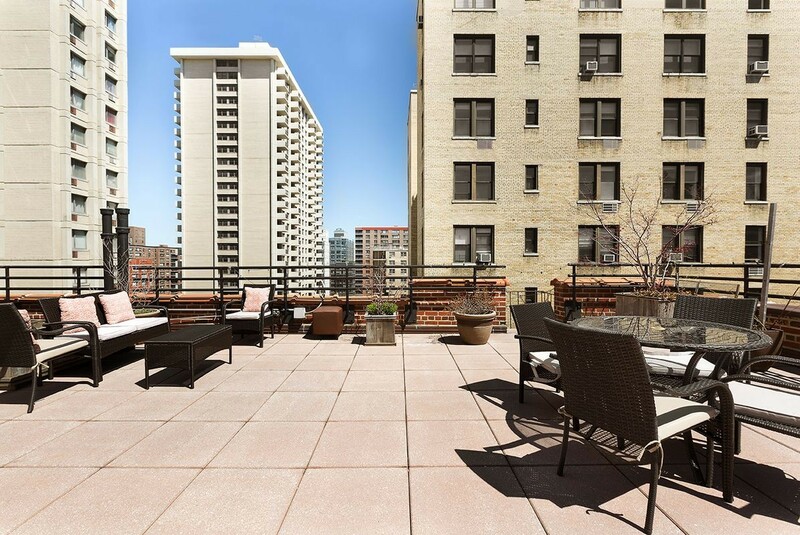 Common outdoor space, like a shared roof deck, is another option for people seeking access to some fresh air at home, without paying quite as much of a premium. 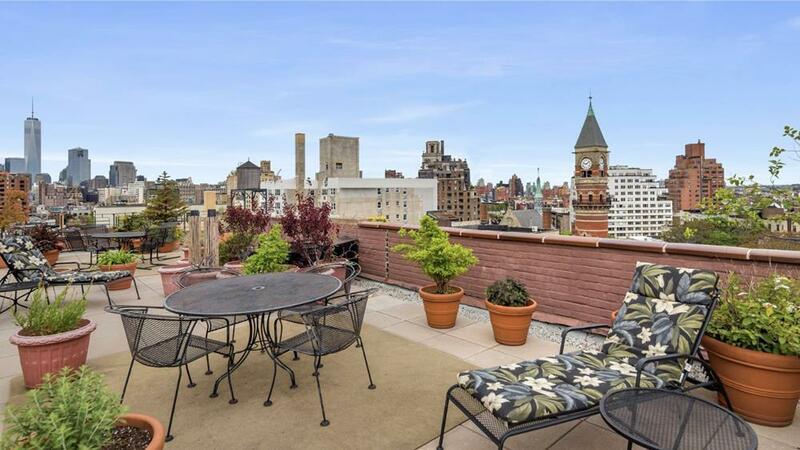 Keeping up common outdoor space is part of apartment owners' building maintenance fee. 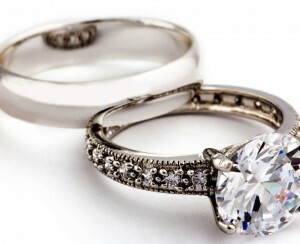 The fee can average $1,500 a month for some Manhattan co-ops, but you can find some apartments with much lower maintenance fees, as we did for a few of the listings here. 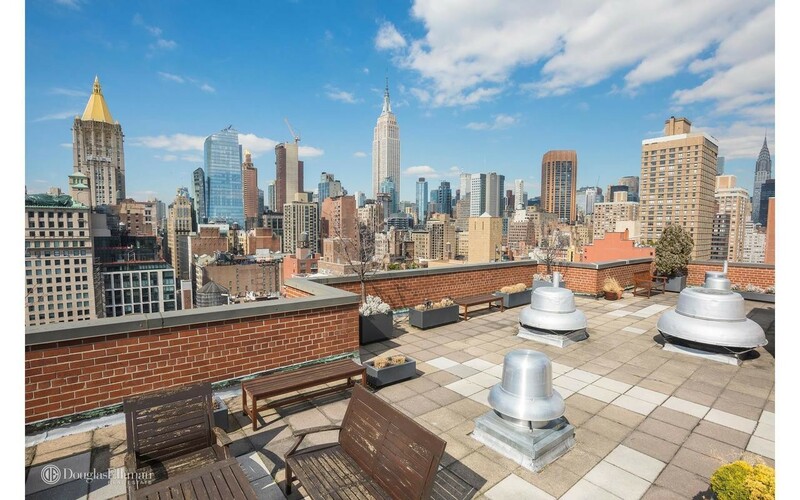 Here are five co-op apartments—three studios and two one-bedrooms—in Manhattan with roof deck access for less than $650,000. They are all having open houses this weekend. This is a studio co-op with the potential to create a partitioned-off, windowed sleeping alcove. The kitchen has granite counters, stainless steel appliances, and a glass tile backsplash. 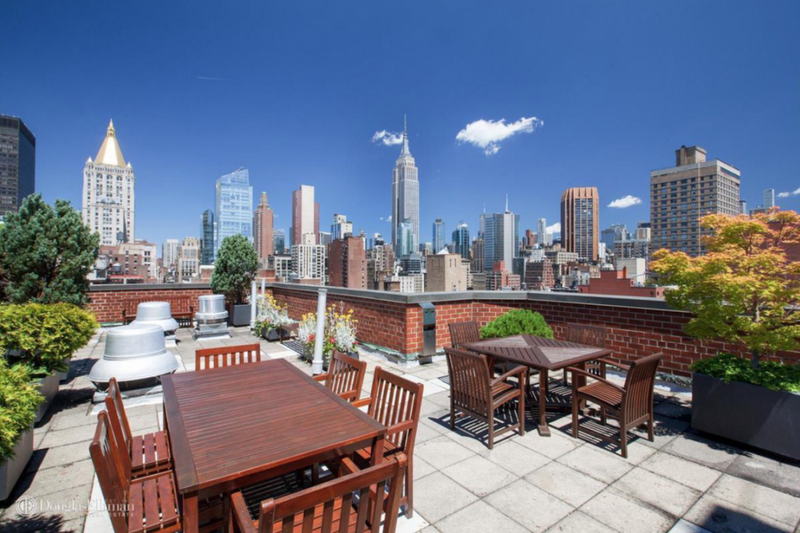 The shared roof deck has views of the Empire State Building. The apartment is listed for $549,000. The open house is set for Sunday, May 20th, 2-3:30 p.m. 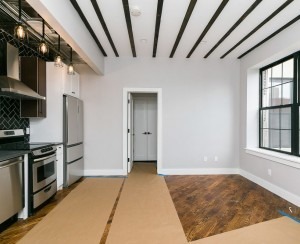 This one-bedroom co-op has an office, a walk-in closet, and a windowed bathroom. The building was originally the New York Theological Seminary, built in 1926. 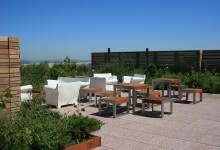 The shared roof deck is newly renovated and landscaped. The apartment is listed for $649,000. 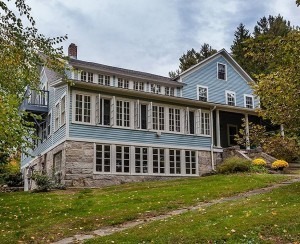 An open house will be held Sunday, May 20th, 1:30-2:30 p.m. This is a studio co-op with dark wood floors, built-in cabinets, and a Murphy bed. The kitchen is walled off from the living area. 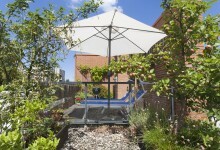 The building has a landscaped roof terrace with city views. The apartment is listed for $615,000. The open house is planned for Saturday, May 19th, 1-3 p.m. This studio co-op has deep closets and eastern and southern exposures. The kitchen has custom cabinetry, Caesarstone countertops, a Bosch dishwasher, a Liebherr refrigerator and a Bertazzoni stove. The common roof deck features dining and lounging areas, panoramic views, an herb garden, and a hammock. 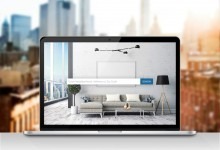 The apartment is listed for $689,000. The open house is scheduled for Saturday, May 19th, 1-2:30 p.m. This one-bedroom co-op has a large, windowed kitchen with stainless steel appliances and a Caesarstone breakfast bar. The bedroom fits a king-sized bed, according to the listing. 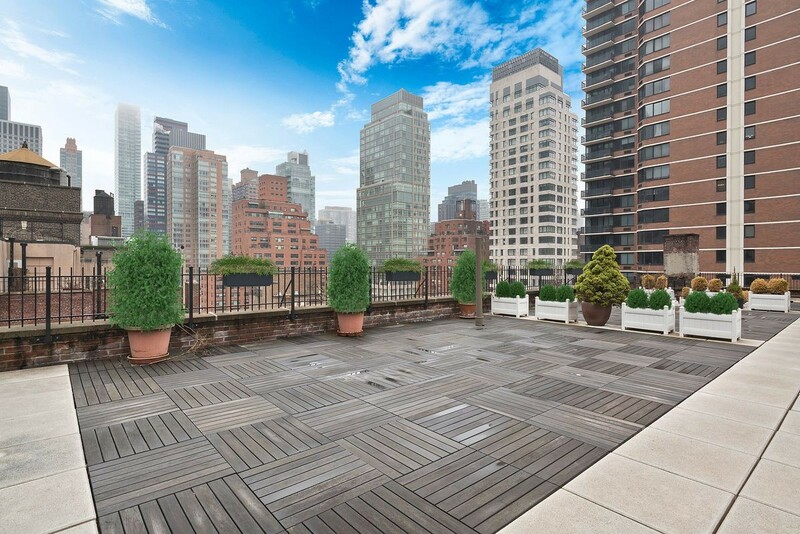 The building has a doorman and a roof deck, and it's half a block from Central Park. The apartment is listed for $649,500. The open house is set for Sunday, May 20th, noon-1:30 p.m.